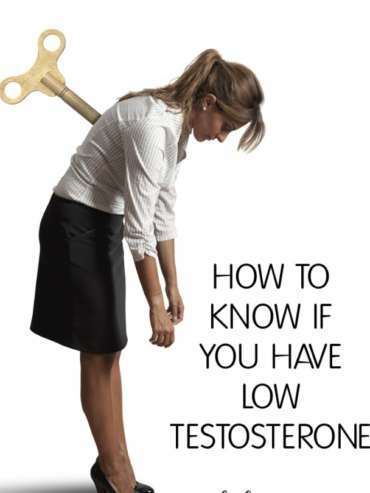 Is It Possible for Women To Have Low Testosterone? Low testosterone can be treated with hormone replacement therapy for women. This is administered by using mouth patches, implants, transdermal skin patches, gels, or injections. The Atlanta Men’s Clinic offers injections for treatment for low testosterone in women. Studies show that some women have low testosterone because their genes may affect their ability to produce the precursors to testosterone, DHEA and DHEA-S. Other women may not have enough of the enzymes that allow their bodies to process DHEA and DHEA-S. In order to properly diagnose low testosterone in women, your doctor may perform a test in the morning. This is when testosterone levels will be at their highest. If a woman is of reproductive age the test may take place between 8 and 20 days after her last period. Women who experience some or all of these symptoms can contact their healthcare provider to assess the underlying causes. A series of tests must be conducted in order to rule out other conditions that may have similar symptoms to low testosterone. A blood test is used to aid the diagnosis. Once the diagnosis is confirmed, women can speak to their physician about low testosterone in women treatment.The Atlanta Men’s Clinic administers treatment for low testosterone in women via TRT injections. You can expect to receive treatment with expert physicians who are committed to providing the best of care. The injection is relatively painless, though people have varying levels of pain tolerance. If tests confirm low testosterone in women, you may schedule an appointment with one our qualified healthcare professionals. The amount of testosterone in your injection will vary depending on your needs, and follow-ups or further treatment will be discussed depending on how you respond to your first injection. To learn more about our services, please see the treatments section of our website or contact our clinic here.